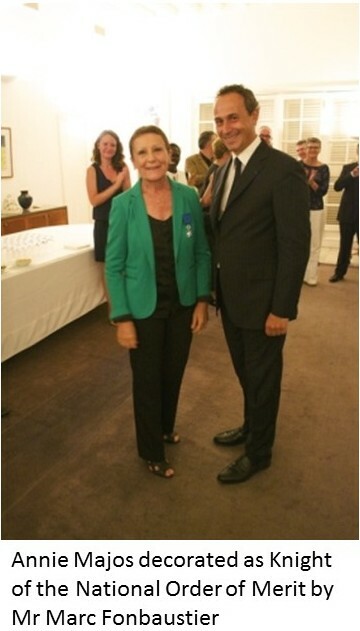 AGS is proud to announce that our former Branch Manager for Togo, Annie Majos, has been named as a Knight of the National Order of Merit (a distinguished French national award). 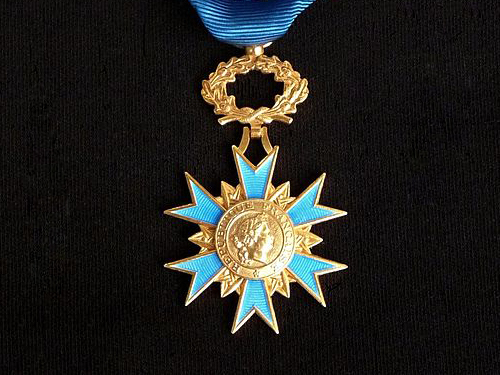 AGS is proud to announce that our former Branch Manager for Togo, Annie Majos, has been named as a Knight of the National Order of Merit (a distinguished French national award). Here we feature comments from France’s ambassador to Togo and Annie’s reaction to the award. Annie received this award in a ceremony on September 24, in Togo’s capital city of Lomé. Her brilliant Franco-international career and dedication towards France was emphasized by the French Ambassador in Togo, Mr. Marc Fonbaustier. After joining the AGS Group in Mayotte in 1990, Annie contributed to the development of two other AGS branches in Cameroon and Togo. She retired in February 2015 after 16 years of service at AGS Togo – of which nearly 13 was as Branch Manager. According to Mr Fonbaustier, Annie has always been known unanimously “for her personality, her kindness, her radiance”. Her support and patronage operations in the cultural and sporting fields; her time in the local chapter of the Foreign Trade Advisors for France; her civic commitment and her various activities conducted within the French Foreign Union (UFE) have been particularly appreciated by her associates. AGS congratulates Annie on her award, and we wish to thank her again for her many years of loyal service to the AGS Group.